MEMRI, Author at Breaking Israel News | Latest News. Biblical Perspective. 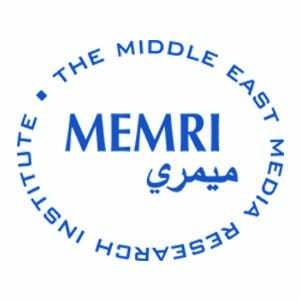 The Middle East Media Research Institute (MEMRI) explores the Middle East and South Asia through their media. MEMRI bridges the language gap between the West and the Middle East and South Asia, providing timely translations of Arabic, Farsi, Urdu-Pashtu and Dari media, as well as original analysis of political, ideological, intellectual, social, cultural, and religious trends. On February 8, 2019, Iranian Supreme Leader Ali Khamenei delivered a speech on the 40th anniversary of the Iranian Islamic Revolution. The relationship between Salafi jihadists groups and local Christian populations has been a complicated one. Since the last military conflict in Gaza, in July-August 2014, Hamas has been working to restore and build up its strength in advance of the next conflict with Israel. Ground forces deputy commander Kiomars Heydari said that Iran had modified the Yasir drone for suicide missions, and added that the exercise had featured three types of suicide drones. On February 25, 2015, Iran’s IRGC launched its “Great Prophet 9” multi-force maneuvers. Hamas intends to open a second front against Israel from Syria and Lebanon, which it has thus far refrained from doing.